How can design engineers reach a new standard for efficiency? Home > Design > How can design engineers reach a new standard for efficiency? The function of the design engineer is changing as professionals increasingly play a more active role in an engineering company’s value chain. No longer are they responsible for the conceptual aesthetic and ergonomic aspects of a new product design, but they are increasingly accountable for the cost of producing a product in the most effective and efficient way possible. As a result, there is an industry-wide drive to engineer more functional products and systems at a lower cost, without compromising on quality. Here, Marcus Schneck, CEO at component manufacturer, norelem, looks at some of the techniques design engineers can employ to achieve time and cost savings, ensure predictive availability of components, and manufacture a more effective product. There’s no doubt that design engineers have been among the professionals who have benefited the most from recent technologies. The introduction of 3D printing is accelerating times to market and speeding up the initial prototyping phase, enabling businesses to manufacture larger volumes of product, more quickly. However, this is consequently putting design engineers under further pressure to work more productively while maintaining the highest standards of work. As a result, the smallest marginal gain that can be achieved in the design engineering process is amounting to a big difference in project timescales. There are many techniques design engineering can employ to help them become more productive, whilst very often reducing expenditure costs in the process, it’s just a case of identifying where these improvements can be made, and adapting standard processes accordingly. In the days of self-sufficient engineering, many businesses are keen to keep as much engineering production as possible in-house, eliminating long lead times and dependency on suppliers. Yet, while this does grant an engineering company greater control over its complete production process, it requires a significant time investment, incurring a number of additional associated costs. 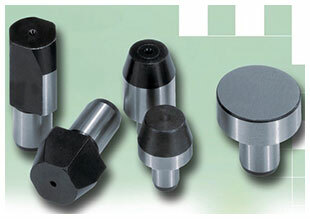 For example, it is not uncommon for an engineering business to manufacture its own workpiece bolts. Even for a comparatively simple component like this, a designer needs to take 15-20 minutes to create a drawing that is appropriate for production, with all dimensions calculated. If you consider that the typical process cost for one working hour equates to £50-90, depending on the CAD system used and the individual company, this represents at least £15 incurred for each component, even before it has reached production stage. If a business is designing a large number of standard components in addition to this, you can see how the costs and time associated with such an exercise can quickly rise. As a standard component, it is often unnecessary for engineering businesses to design their own workpiece bolts when they can be sourced at lower cost and with widespread availability from a professional standard component supplier. It is very often the case that an external purchase of a workpiece bolt, stop, or clamp, will come complete with all the relevant design data and drawings, which can be integrated into an existing CAD system. This makes CAD drawings available as static references, eliminating the time and costs associated with manually drawing and configuring these designs. If a typical production line utilises as many standard components as possible, this can result in significant time and cost savings over time. It is always a useful exercise for design engineers to spend time understanding which components are available as standard during the manufacturing process, prior to starting work on their own designs. Partnering with a competent parts supplier can also reap benefits should components fail during production. Rather than re-engineering a component to the same dimensions and designs specified on the CAD drawing, design engineers can just re-order the same component, using a catalogue or reference number. By implementing a pick and place process, it is possible to substantially reduce times-to-market. It is also important to remember that standard components delivered through an external partner will already be tried and tested with known performance capabilities, reducing any internal test and development time required in house. As a result, standard components very often have easier tensioning and defining positions, which can make for faster assembly times; another marginal gain which can help to make a design engineer even more productive over a period of time. A design engineer’s time is precious. In a role that is acutely information intensive, design engineers have enough work to do with technical and computer-based work tasks, without spending yet more time searching for information about a certain component, or redesigning standard components from scratch. 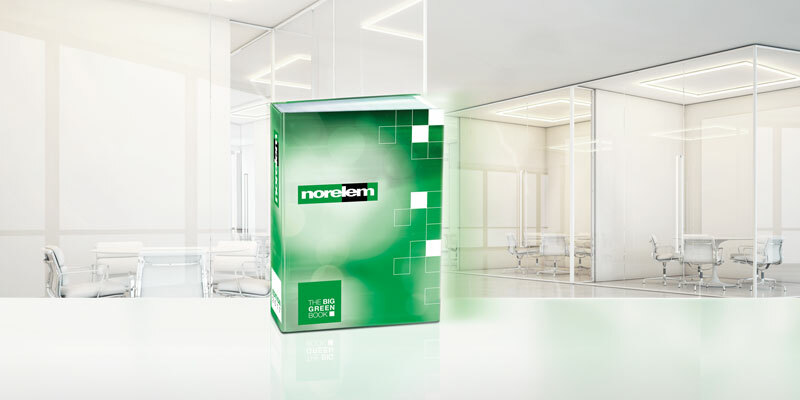 This is why norelem first introduced the BIG GREEN BOOK, back in 2003, as a complete reference guide to standard components for design engineers. Not only does the BIG GREEN BOOK list norelem’s range of over 33,000 products, of which 98% are available immediately from stock, but it also includes all the information design engineers need to turn their ideas into reality. It has been structured in a logical way to guide readers through an explanation of how standard parts can be integrated to further aid the design process, helping design engineers lower costs and time as standard. How do you switch to lean manufacturing?